I’m sorry, but I haven’t done a very good job of writing my holiday blog. I’ve been too busy setting up the new service. The more I think about the service, the more I find to do, and the more emails I deal with from those of you interested in coming on a discovery day. I have to make sure that the boat is as safe as possible for those new to boating in general and narrowboats in particular. 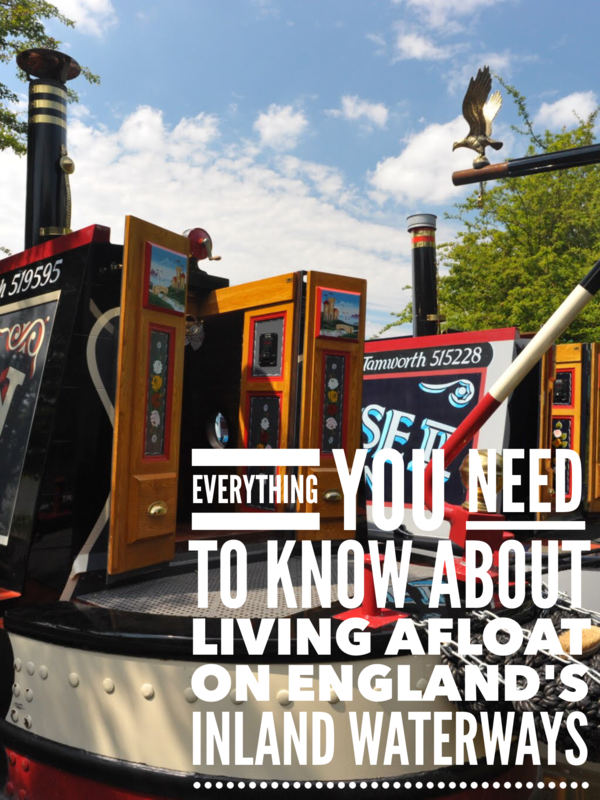 A few of those who want to learn more about living afloat have told me that they want to see if the lifestyle is possible for them given their limited mobility. I have to ensure that spending a day on board is as safe and comfortable as possible. I’m nearly there now. If you’ve already expressed an interest via the feedback form I’ll be emailing you in a day or two with a link to the booking form. If you don’t know what I’m talking about and would liket the opportunity to spend a day on a live aboard narrowboat talking about the lifestyle and narrowboat design, and learning how to operate one, you can find out more about the service here. Back to the holiday. When I finished my account last Sunday we were moored on the Market Harborough Arm halfway between Foxton and Market Harborough. The intention had been to explore a little more of the Leicester line towards Leicester before tackling Foxton locks again but we needed water. The only reasonably accessible water point marked on my Pearson’s Canal Companion was back at Welford, so we spent a hot but uneventful hour ascending the staircase locks before I realised that there are water points both below and above the flight which aren’t marked on the map. They’re clear enough to see as you’re passing, they’re just not marked on the map. (Update 17th June 2014 – As has been pointed out to me several times since I published this post, the water points are marked on the Pearson’s guide, just not on the actual map where I expected to see them. They’re on an enlargement of the lock flight and are clear for any idiot to see. Any idiot that is, apart from me. Sorry Mr. Pearson!). We stopped at the water point at the top of the flight, spent most of my weekly wage on two ice creams, then stopped for the night at the most beautiful spot facing the setting sun and overlooking distant Theddingworth church. In fact, we liked it so much there that we stayed two nights. On Tuesday we visited Welford again to top up with water, empty the cassette and eat at the Wharf before once more at tranquil Welford junction. It wasn’t quite as tranquil this time thanks to a scruffy live aboard boat moored there with work benches set up on the towpath, a working boat and butty moored breasted up, and two holiday narrowboats. What I particularly liked about mooring on the junction was the complete absence of roads and road bridges for three miles along the towpath here. It’s great for letting the dogs run free without having to worry about traffic. Sally had to leave on Wednesday to sort out some family stuff. I stayed another night at the junction before beginning the journey back to Calcutt. I stopped at Yelvertoft for a quick bite to eat and to top up with water then headed towards my afternoon shower. The northern end of Crick tunnel is very wet. I didn’t bother with a waterproof as I had been cruising for three hours in hot sun but after a comprehensive drenching before fifteen minutes in a chilly tunnel wearing a soaked tee shirt I was pleased to get out into the sun again. Half an hour later I was at the top of the Watford flight and thankful to see a lock keeper on duty to help me go down. There are two ways of tackling the Watford flight on your own. One involves plenty of climbing in and out of the locks using the ladders. The other is far easier. You just stand on the back of your boat, ignore everything around you, and wait until the lock keeper does all of the work for you. That’s what the single bloke on the boat in front of me did. He helped the lock keeper set the top lock, climbed onto his boat and stayed there until he reached the bottom lock half an hour later. The lock keeper understandably wasn’t happy. “Perhaps he thinks the lock gates open by magic”, marvelled the veteran volunteer as we wound the paddles on yet another gate for him. It is quite physically demanding going through the flight on your own, but if you’re a lone boater you have to accept that you need to work that little bit harder. This man was just rude and unappreciative. It was 5pm and a beautiful evening. I moored just past Welton Haven marina, set up my camp chair and table on the towpath facing the sunset, placed two cans of ice cold Strongbow cider within easy reach and relaxed for two hours in the sun with my Kindle. I was off again at 8am. An hour later I pulled over just before the entrance to Braunston tunnel to make sure I was ready for the mile and a quarter journey in the dark. Have I mentioned my boat’s headlight before? It’s a very sad affair which fails completely to show me the way in the dark. I have to help it out a bit. I turn on all the lights inside the boat and make sure that the curtains are open. The light shining out of the windows really helps to illuminate the tunnel walls and helps me stay away from them. I also make sure that I have a powerful torch with me on the back of the boat so that I can see the tunnel roof and walls immediately in front of me. The combination works very well… until I meet a boat equipped with a headlight better equipped for searching the night sky for bombers. I met one such boat in Braunston tunnel. The headlight was so bright I had to hold my hand in front of my face and peer through my fingers. I still couldn’t see where I was going so I stopped. So did he. He didn’t stop because I was blinding him. He could probably barely see my headlight but he stopped anyway. I didn’t realise he had stopped as he was half a mile away hidden behind a halo of white light. Eventually I began to inch forward, grinding my way along the right hand wall as his boat grew slowly larger. The passing boat was no more than thirty feet long. He must have used the enormous searchlight on the front deck partly as ballast. The rest of his ballast was probably achieved by a battery bank large enough to power the light. It was ridiculous. Back out in the sunlight I had the pleasure of accompanying two of the Trust’s landscaping contractors down the Braunston flight. These guys work very hard and they perform an essential service but it isn’t pleasant stepping on and off the boat and handling ropes on a towpath buried inches deep in grass cuttings. As the bottom lock was emptying I treated myself by dashing into the shop on the towpath to buy an ice cream. A word of warning if you’re boating on your own. Climbing down the ladder into an empty lock carrying a windlass, centre rope and a Magnum Classic isn’t easy. I managed to wipe the chocolate off my tee shirt and I’m sure it will come off the roof but I don’t know if it did the engine any good, even if it smelled very pleasant as it sizzled. I reached Braunston junction but rather than turning left for Calcutt I couldn’t resist spending a night on what is usually a very quiet spot a mile out of the village on the North Oxford. Unfortunately the canal was like rush hour on the M25 on the Friday before a bank holiday. Virtually every available spot was taken by boats moored nose to tail but I managed to sneak in behind a single live aboard boater. The problem with mooring so close to other boats is that you often have to talk to people. I am antisocial most of the time. I enjoy being on my own and I like nothing more than an isolated mooring where I can sit in the sun, enjoy the solitude and read. I can’t complain though when I make the conscious decision to moor almost within reach of another boat. I suppose it was reasonable to expect the single and elderly guy in front of me to wander over and start a conversation. Actually, it wasn’t so much starting a conversation as beginning a monologue. He told me about his failing health, his wife’s failing health which has resulted in him spending much of his time cruising on his own, his daughter’s failed marriage, his mother’s recent demise and the impact it’s had on his own health, and his boat’s failing health. Overall, it wasn’t a very uplifting hour we spent together. As a direct result of our conversation and my need to get away, I walked back to Braunston marina then up the footpath to the very well stocked village shop. I didn’t really need anything but I came away with a tin of hot chocolate, a loaf of bread, a small bag of M & Ms for the walk back and a small pack of self adhesive hook and loop tape (Velcro type stuff). I’ve used the tape to secure my Three MiFi unit to the window above my office desk where it can get a decent signal. I am delighted with the way the MiFi has performed while we have been out. I’ve managed to get a good enough signal to surf and work on the site at every place we’ve stopped. Yesterday, with Sally back on board, we returned to Calcutt. The two hour journey back from near the junction took four hours. Because we were moored facing away from the junction we had to find somewhere to turn before heading back. The closest point was in the entrance to Barby Moorings about an hour’s cruise away. We saw more boats moving yesterday than we had in the entire previous week. There are quite a few narrowboat hirers in the area so quite a few were novice boats including a stag party on a Willow Wren boat, all subdued and looking very hung over and one with a face full of bumps and bruises and nostrils stuffed with cotton wool to stem a nose bleed. I followed another stag party on a Rose Narrowboats hire boat. I first saw them as they were getting ready to set off after a night apparently moored almost under the M45. Why would you want to do that? By the time I had reach Barby Mooring’s entrance and turned round they had set off. They were cruising at tick over though and weaved erratically from side to side in a very odd manner. They too looked a little the worse for wear but they were polite and considerate and moved over to let me pass. They passed me nearly an hour later when I was moored at the ridiculously positioned water point on Braunston junction and then turned right to head towards Napton junction. They were still cruising at the speed of a very slow walk but rather than overtake them again I pulled over and moored up to give the dogs some exercise and to make myself a cup of coffee. If you’re thinking of cruising on your own, that’s another logistical obstacle you need to overcome. Making a hot drink for yourself is just about possible on the move if you have a reverse layout boat with the galley next to the rear deck. If you’re very careful you can bring your boat almost to a half in the centre of the canal if there’s no other traffic about, dive into the boat to put the kettle on, dive back outside to carry on cruising until the water boils, then dash into the boat once more to make your coffee and return to your cruising. I can’t do that because my galley is nearly thirty feet away towards the front of the boat. I either have to make a flask of coffee before I set off or moor quickly while I make a drink. I prefer to moor and make a fresh cup rather than use a flask. Mooring takes less than a minute. I make sure that I pick a spot where there are Armco rainings, bring the boat to the side almost at a stop, jump off holding the centre line and carrying a mooring chain, then chain the boat to the railing just using the centre line. It’s quick and easy to do once you’ve tried it a few times. I set off again a few minutes later with a steaming coffee and thankfully without any sign of the wobbly stag party. I met them half an hour later though as they were trying to turn their boat around. They’ve taken a wrong turn at Braunston Junction but didn’t realise until they had nearly reached Napton Junction. I stopped briefly at our wharf to top up with fuel. I’ve run the engine for eighty five hours since I last topped up. I put in one hundred and fifteen litres yesterday so the average was 1.36 litres per hour. Nearly half of the running time was for battery charging. I’ve come to the conclusion that my domestic battery bank is terminally ill. I haven’t been using much power while I’ve been away from the marina. The fridge is on all of the time of course, and the inverter’s on in the evening to power the television for a couple of hour of mindless entertainment, and there have been a few low power devices plugged in during the evening to charge them, but that’s about it. Each morning my battery bank is down to about 65% capacity. Each day, despite plenty of free power from the sun via my 3 x 100w solar panels, I have to run the engine for at least five hours to get the batteries back up to 100%. I have four 135ah batteries. The accepted wisdom is to change all of the batteries in your domestic bank at the same time to prevent one from dragging the others down when it fails before the others. Unfortunately I didn’t do that. When I moved on board, the boat electrics, like everything else on James in 2010, were in a bit of a state. The batteries on board, one 110ah starter and one 135ah leisure battery, were just about OK for taking the boat out for a day’s cruise, not that the engine was in a fit condition to take the boat out for a day, but they were totally inadequate for a live aboard boat. Being able to live off grid wasn’t really a consideration at that stage but I had another 135ah battery added and a charger to keep them fully charged when I had the shore line plugged in, which was pretty much all of the time. Nothing much happened in the electrical department for the next two years. I had bigger fish to fry. I had the boat taken away to have the original ply cabin over plated with steel and had the engine, which broke down on the two occasions I was brave enough to leave the marina, fully serviced and repaired. In March last year I had a 1600w Sterling inverter fitted. In order to supply the inverter with enough power I added another two 135ah batteries to the leisure bank. I suspect that the latest batteries are still OK. One, or both, of the older batteries have failed so it’s time to get all of the batteries in sync and replace the lot. It’s an expensive maintenance cost. A 135ah leisure battery retails at about £120. Hopefully I’ll get them a little cheaper than that through Calcutt Boats but it’s still going to be enough to make my bank balance wince. The battery bank needs replacing, and so does my old Vailant gas water heater. The heater finally died two days ago after thirty seven years of faithful service. I suppose I can’t complain. The Vailant still heats the water. It heats the water rather too much actually. The burner doesn’t shut down properly when the hot tap is closed so it carries on heating the water in the coil until the water reaches boiling point and then starts to turn into steam. At this point the whole unit starts to pop and hiss and groan. If the hot tap is turned on in the bathroom at this stage, the tiny room quickly fills with scalding steam. It’s not safe to use. I may or may not fit a new gas heater. I haven’t made up my mind yet. In the meantime as a stop gap I’ll get the 55 litre horizontal calorifier fitted which I bought a few months ago to replace the small calorifier under the bed which has never worked. Next week Calcutt Boats will fit the new calorifier and try to integrate it with the hot water produced by the engine so that I can have water from (A) the calorifier’s 1KW immersion heater when I’m plugged in to a mains supply and (B) the engine when it’s running. I’ve never had hot water from the engine. I understand that the facility is in place but it’s slightly unusual because my engine is raw water cooled. At the very least I will have hot water back on the boat in a dew days’ time via the calorifier’s immersion heater. I suppose I’m fortunate that the heater has failed in the summer when we can just about tolerate cold showers. I don’t think that either of us would be quite so happy with an icy shower in the winter when the water in the boat’s tank is close to freezing. It’s summer. The days are long and, surprisingly, mostly warm and dry, narrowboat owners and hirers are out in force and journalists, no doubt after a pleasant stroll down the towpath, like to write about the idyllic and low cost lifestyle you can achieve on board a boat on the waterways network in England and parts of Wales. In July last year the Daily Mail published an article about a family of four who sold their home, purchased a narrowboat, and then lived happily ever after moored on the river bank close to Stratford-upon-Avon. Happily ever after that is for the very short, and warm, period they had been enjoying life afloat before they were interviewed. The costs quoted in the article were inaccurate and the need for a hard to find residential mooring wasn’t mentioned at all. Maybe you should expect such inaccuracies from the Daily Mail but last week the Daily Telegraph ran an article which was just as misleading. You can read it here. The journalist suggests that one of the best places to live on your boat is the Kennet and Avon which “is well supplied with boatyards and suitable moorings”. Poppycock! The Canal and River Trust acknowledge that the Kennet and Avon is a problem area with a high concentration of non compliant continuous cruisers. If you are new to boating on the inland waterways, let me explain. A non compliant continuous cruiser is a boat owner who, when applying for a license, states that he doesn’t have a home mooring. If he doesn’t have a home mooring, he is obliged to observe the continuous cruising guideline and cruise continuously around the network. Moving backwards and forwards between two close geographical locations to stay close to work, school or medical facilities isn’t allowed. Staying in one spot without an official mooring is what hundreds, maybe thousands, of live aboard boat owners do and the Trust don’t like it. The Trust have a team of roving enforcement officers. They are traffic wardens for the waterways. Their job is to look for unlicensed boats and boats which stay too long on short term moorings. Persistent offenders face legal actions and in extreme cases their boats can be removed from the canal. The Telegraph article fails to mention the need for residential moorings at all and then quotes a very misleading total of £3,760 as the cost of running a 55′ boat kept on a “premium” mooring and then using it to travel 3,000 miles during the warmer months. The main reason that their figure is so low is that the figures used to calculate the total are eleven years old. Diesel, for example, is quoted at 30p – 40p per litre. Three thousand miles is also an enormous distance to travel in a narrowboat in twelve months especially if the 3,000 miles is done in just 100 days as suggested in the running costs breakdown. Three thousand miles in one hundred days is thirty miles a day. Even if you could achieve an average of 3mph during a day’s cruising you would need to keep going for ten hours every day to reach the thirty miles a day total. Of course the average boater doesn’t manage anywhere near this distance. There are locks and queues at locks to negotiate, tunnels, bends, bridges and other boats to slow down for and leisurely lunches to enjoy. Two popular routes taken by hirers at Calcutt are the out and back trip along the south Oxford to Oxford and the circular Warwick Ring. Both are about 100 miles. One has about 80 locks to negotiate, the other has closer to 100. Both require seven days of fairly intensive cruising to complete at an average of fourteen miles a day. On my journey towards Market Harborough two weeks ago, on the second day I started cruising at 8.30am reached Brauston at 9.30am, moored on the water point for twenty minutes to top the tank up, empty the cassette then dash into Midland Chandlers to buy some engine oil, went up the Braunston Flight, through the tunnel, joined the Grand Union Leicester Line, negotiated the seven locks in the Watford flight, enjoyed an unexpected shower in Crick tunnel and arrived at our mooring for the night opposite Yelvertoft marina at 7.30pm. Over a very tiring eleven hours we had travelled just under fifteen miles. Don’t use newspapers as a source of reliable information about the cost of living afloat. The facts they quote are often wrong. If you want to know the true cost of living afloat, you won’t find a more comprehensive guide than this one. It’s that time of year when the forums are full of complaints about speeding boaters. We’ve all experienced them. You’re sitting comfortably with your pint in hand when suddenly a boat comes past. ‘Too fast’ you say to yourself as the beer sploshes over the top of the glass but you’re too polite to say it out loud. Instead, you smile and wave hello to the steerer as he goes by and you tell your partner that when you pass him later you’re dammed if you are going to slow. But, of course, you do. However, was he really going that fast? Was his engine noisier than yours making it seem he was? Were you moored with loose lines allowing your boat to move too much? Nothing is as simple as it first appears. I’m not an hydrologist – I think that would be the right expert for this – but long observation leads me to believe that most perceived speeders aren’t. They may not be going as slow has you think you do but they’re probably going as slow as they can. There are so many factors to take into account. Firstly there is boat design – big engine or small, prop sizing, bow design, long swim or short, rounded counter or square. And it’s not just the design of your boat, take a look at how much some boats move around next time you pass them, despite being adequately moored. Then there is the waterway itself. If you’ve ever moored on the Bridgewater Canal you will have noticed that local boaters only pay lip service to slowing down but it doesn’t have much effect on you because the canal is deep and wide. Compare that with the adjacent Peak Forest with its shallow water, narrow width and its sloping sides. Unfortunately, our passing Bridgewater boater still thinks he is on his home water! Yes, I would agree that there are some boaters who don’t slow very much. They probably think you can’t tell from their engine note how much they’ve slowed or when. There are some who say its the hirers, others blame private boaters and some say its the share boats. I don’t think there is any one group that can be blamed. We can all get caught out by long queues at locks or lines of moored boats upsetting our timetable. Fortunately we rarely have to get anywhere in a hurry but I recognise that others do but it is not helped by the promotion of the ring cruises as something that can be done in a week or whatever. All you can do is make sure you tie yourself boat up properly. Ideally your ropes should lead forward or back so as to be about a 45 degrees angle to the bank. If this is not possible then consider extra ropes leading in the other direction, called springs. This is all to resist the drag of the passing boat pulling your boat to and fro. Do not use a centre rope for anything other than short term mooring. It will only cause your boat to list as it gets dragged forward causing even more problems. If there are rings or bollards use them. If they are not in the right p!ace, and sods law dictates they won’t be, consider a chain or hook through the piling, if there is some. Be careful where in the piling you put these. As near to one of the through bolts is best to prevent the chain or hook getting jammed behind the rail. If you have to use pins, try to make sure they are in solid ground or put another pin through the eye at a different angle to prevent it being pulled out. If you’re one of those early starters, please bear in mind that some of us like a leisurely start to the day and that moored boat may just have someone enjoying a lovely dream who might not like a rude awakening. So as slow as possible and no loud talking with the rest of your crew. If you are the passing boat remember, it is not engine speed that causes problems, it is speed through the water. So slow down in plenty of time. I always cut my speed about 2 boat lengths before but you can put the power back on as soon as the steerer is alongside the far end of the moored boat. Unless it is that boat that sped past you earlier in the day.